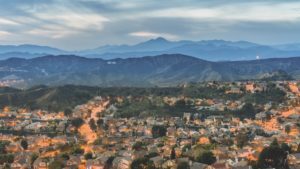 The Santa Clarita Valley, north of Los Angeles, has grown in population by 41percent in the last 15 years, and its current population of 250,000 is expected to reach nearly half a million in the foreseeable future. To serve this growing population and deal with problems such as drought and natural disasters, the two major water providers in the valley, Newhall County Water District and Castaic Lake Water Agency, decided to move forward with a consolidation that resulted, in 2018, in the Santa Clarita Valley Water Agency (SCVWA). 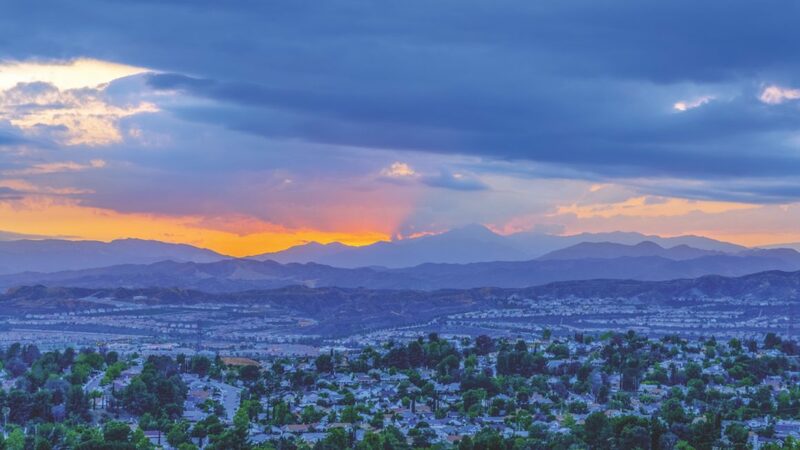 In this interview, SCVWA General Manager Matt Stone speaks with Kris Polly, editor-in-chief of Municipal Water Leader, about the ambitious and successful plan to create a unified water district for the Santa Clarita Valley. Kris Polly: Would you please tell our readers about your background and the SCVWA? Matt Stone: The Santa Clarita Valley sits about 30 miles north of Los Angeles at an elevation of about 1,300 feet. We are in the first of the series of mountain valleys and passes that separate Los Angeles and Southern California from the Central Valley of California. We get our name from the Santa Clara River, which runs through the valley and out to sea near Ventura. The population is around 250,000, and we have approximately 72,000 retail service water connections in our area. Resource-wise, there is a significant groundwater basin below parts of the valley. Significant growth started in the mid-1960s with Newhall Land and Farming Company. We’ve experienced a 41 percent increase in population over the last 15 years. The area has a projected future population of a little over 480,000. As far as my background, I started working in California water in 1984. My education includes an undergraduate civil engineering degree, a master’s degree in environmental engineering, and another one in public administration. 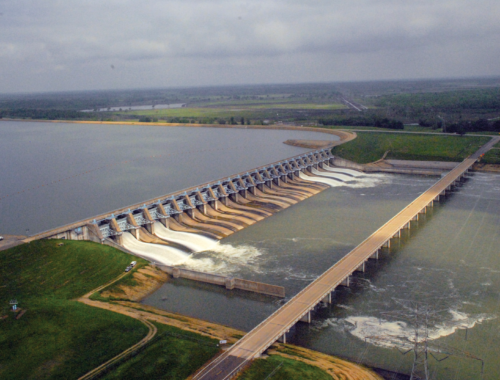 I worked with the private sector for the first 10 years of my career as a consultant, focusing on water resources planning, preliminary design, and feasibility studies. I had a pretty diverse client base, with over 200 different assignments over that time period. Later, I became interested in water policy, so I moved to the Municipal Water District of Orange County, a public-sector regional water wholesaler, and stayed there for the next 14 years. We were the third-largest member of the Metropolitan Water District of Southern California, and a big part of my duties included support for our appointed directors on that organization’s board, which familiarized me with a great number of interesting regional policy issues related to the management of the Colorado River and the Bay Delta, water-rate structure and design, water efficiency, legislative and public affairs, and integrated resource planning. I was also involved in a significant consolidation between the two water wholesalers in the county. That turned out to be good experience. and wastewater agency, for about 8 years. In addition to gaining experience in retail service, I was involved in two key projects: a Native American water-rights settlement and the acquisition of lands around our surface-storage reservoir to better protect the watershed. I came to Castaic Lake Water Agency (CLWA) almost 3 years ago when the consolidation process was poised to start moving forward. Kris Polly: The SCVWA was recently created through the consolidation of two water agencies. What issues drove the creation of the SCVWA? Matt Stone: To set the scene, the Santa Clarita Valley is fairly self contained in that we have one groundwater basin, one water importer, and geography that quarters us off from the surrounding areas. Public water retail service dates back to the 1953 foundation of the Newhall County Water District, which served a portion of the area. Two private water companies—the Santa Clarita Water Company and the Valencia Water Company—were formed or acquired by landowners over the years to provide retail service. These providers (or their early predecessors) initially relied on local groundwater sources. In the mid-1960s, CLWA was formed to serve as the state water contractor and importer of water for the area. 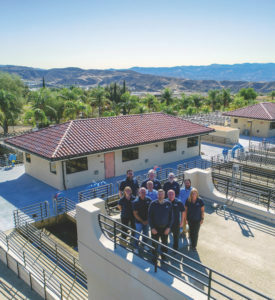 CLWA built connections to the state water project system at Castaic Lake, as well as two regional water treatment plants and a 45-mile network of large-diameter pipelines and regional storage to supplement local supply all over the valley. 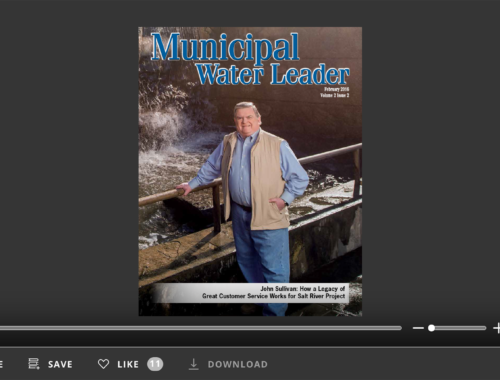 As the wholesaler, CLWA sold that water to the retail agencies. There is also a small Los Angeles County water system that serves a little over 1,300 connections, which was not part of the overall consolidation. 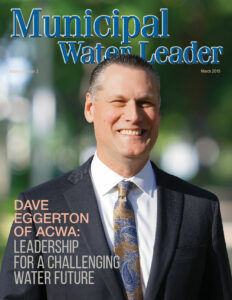 CLWA served as the regional water importer and took on some other regional functions and partnering efforts with the retail agencies as water management became more complex. In 1999, when the family that owned it wanted to sell, CLWA acquired the Santa Clarita Water Company and obtained legal authority to operate it as a public retail division of the agency. In 2012, CLWA acquired the stock of the Valencia Water Company from its owner, Newhall Land and Farming Company, though since CLWA lacked the legal authority to fully incorporate and operate it at the time, Valencia continued to operate separately for several years with a shareholder-appointed board. There were also a number of policy conflicts and litigation between Newhall County Water District, the retailer, and CLWA, the wholesaler. That eventually led us to settlement discussions, which then led us to ask how we could combine all these water agencies to more efficiently serve the entire valley. There had been some prior discussions of the concept, but they had failed to attract multilateral support. The part of the process that focused on getting agreement on the concept from the boards, gathering community input, reaching a conditional settlement agreement, and then crafting and passing legislation took about 3 years. The first year was really a facilitated discussion and negotiation. The two boards agreed to send emissaries and to meet as an ad hoc committee with a professional facilitator. They did that for over a year, with the immediate goal of airing and discussing differences. They were successful in the initial goal of resolving the conflict and went on to shape a vision and guiding policy that both boards approved. I should acknowledge the contributions of our facilitator Nancy Miller, as well as CLWA board members Bill Cooper and Robert DiPrimio and NCWD board members Maria Gutzeit and Dan Mortensen, and our legal counsels Joe Byrne for Castaic Lake and Tom Bunn for Newhall County. The second year really shifted to a public process: It involved a series of public forums, board workshops, and outreach to all the stakeholders that we could identify—businesses, community groups, and environmental organizations—as well as continued negotiations on the details. The ad hoc committee included the two general managers—Steve Cole from Newhall County and me. We brought in professionals in public outreach, demographics, polling, and financial analysis to further study the ideas and foster communication with stakeholders. We incorporated feedback from the public to refine the final settlement agreement between the two agencies on what this new entity might look like. The two agencies approved a settlement agreement that mapped out the key features of the new agency in late 2016. The third year focused on introducing and passing a bill through the state legislature and having it passed into law. Our local senator, Scott Wilk, did an amazing job shepherding the Santa Clarita Water Agency Act through both houses of the California legislature and onto the governor’s desk. As the bill progressed, further refinements and clarifications on key points were incorporated. The governor signed it on the very last day in 2017 available for bill signing. I remember it well because I heard the news in an e-mail that I got as soon as I turned on my phone after returning from a hiking trip in Yosemite. That was a major milestone. Kris Polly: Would you give us more detail about how you engaged your ratepayers in this process? thoughts in a box. We also conducted several significant public-opinion polls and sent out some postcard polls to gauge support and discover the areas of concern that the new agency could address. We housed the information we were creating, including technical reports, workshop videos, and PowerPoints, in a robust web portal. We also did extensive roadshows to local groups such as the chamber of commerce; political clubs; community-advisory groups; environmental groups; town councils; elected officials; CLWA’s blue ribbon committee of local leaders; realtors; and other business, industrial, and civic groups—anyone who was interested. Kris Polly: What are the advantages of consolidation for your ratepayers? Matt Stone: There are several advantages. A single, unified agency now serves retail water to 98 percent of the valley. A small area receives retail service through the County Waterworks District but receives wholesale water service from the new agency. We have a single governing board, which allows us to hash out policy differences in one place, as opposed to having competing decisions and conflicts that have to be resolved by litigation. The new governance structure is also more in line with the California Voting Rights Act because it will result in equal electoral districting instead of at-large voting. 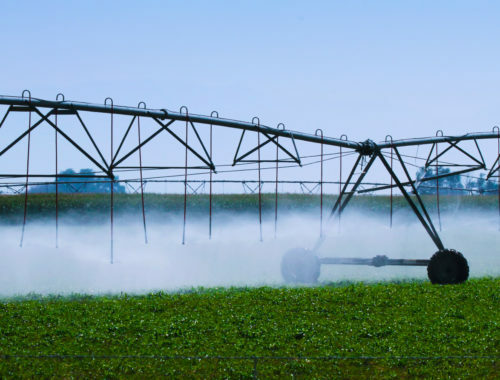 Since we draw from a common groundwater basin and share a single water-import contract with the state, the unified agency has more flexibility to develop conjunctive-use strategies dealing with both our local groundwater supplies and our import supplies. For example, we had a fairly extensive drought in 2016, followed by a very wet year in 2017, resulting in an abundance of imported water for the first time in many years. We asked retailers to take more imported water in order to let the groundwater basin replenish itself more quickly. They did do quite a bit voluntarily, but as a unified agency we would have been able to do more. We are also pursuing a regional recycled-water program. Our previous attempts to achieve that cooperatively were awkward because they involved multiple players who sometimes had divergent interests. One of the hallmarks of the new agency is that we are trying to embrace a more holistic watershed focus, which is a huge theme in California. Watershed and groundwater management was not a priority for the previous regional agencies: They were really only created to import water or to focus on local retail water service. They did work cooperatively, but as autonomous organizations with sometimes-divergent priorities. We are in the early stages, but there is great potential for the new agency to deal with issues such as the removal of invasive plants and to work cooperatively with adjacent parts of the watershed. 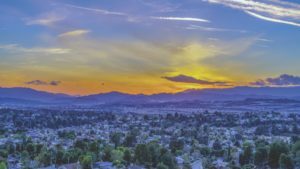 The timing is excellent, because water managers throughout California are also tasked with developing groundwater-sustainability plans that require a similar basin-wide framework. Kris Polly: Is there anything else you can add about how the consolidation has saved resources? Matt Stone: Working with a financial consultant during the exploratory phase of our consolidation, we found that we could potentially save as much as $14 million over the first 10 years of the existence of the new agency. Those savings come from a combination of reducing the duplication of outside services; a reduction in staff, which we have achieved by attrition; and a reduction in board costs over time, since the combined board will shrink down over the next few years to 9 people from the original total of 15 people on two boards. Another area in which we realized savings is in reducing the taxes and franchise fees that Valencia Water Company had previously paid, as well as the dividends it had been paying to its former owner. Those savings will be dedicated to retiring some of Valencia Water’s outstanding obligations. Overall, we are way ahead of schedule on our savings projections. We expect to achieve $13 million of the $14 million 10-year savings projection in the first 3 years of operation. Kris Polly: Is the board reduction going to occur through attrition? Matt Stone: Yes. We decided that in the consolidation, we would initially retain all elected and appointed officials. Over a few election cycles, we will reduce their number. We hired a professional elections demographer who helped us create equal-population electoral divisions. The districts needed to be California Voting Rights Act compliant and also to distribute the directors equally among the three divisions. There will be elections in 2020 and 2022, and by January 2023, there will be a final 9-member board. At that point, the electorate will have vetted all the board members. We also included an attrition provision in the enabling legislation stating that if a board member were to leave office for any reason during the transition period, the board could opt not to fill the seat under certain conditions. One board member recently retired and moved out of state, and the board did exactly that. We are already down to 14, putting us ahead of schedule. Kris Polly: How did you manage different staff positions with the consolidation? areas, mainly management and supervision. We also had some differences in whether a retailer provided services in house or contracted for them with a vendor or contractor. We also realized that with the turnover rate these days, we could get to the size we wanted through attrition in around 3–5 years, if not sooner. The way it has played out, it will probably be closer to the 3-year mark. We wanted to communicate that to the staff because we did not want valuable people to leave out of concern or because of uncertainty. I think that was a wise move on the part of the boards. In the last year before consolidation, we did have several retirements in key management roles, and we strategically tried to survive with those positions vacant, knowing that when we combined the management teams, we could either eliminate them or fill them with new staff members. The executive management team members of each of the agencies collaborated on a new plan designed around the question, “If, historically, there had been just one integrated water retailer and wholesaler in the valley, how would it have been organized?” It was a neat exercise. About a month before the start date, January 1, 2018, we presented a full organizational chart to the board and then to the staff, so everyone could see their place in the organization. The other thing that we are trying to do is give our staff the opportunity to apply for and fill internal vacancies when there is an opportunity for them to move laterally or upward. It is quite an art to decide whether to keep a position unfilled (and possibly eliminate it altogether) or to consider it a critical need. In some cases, we have also chosen to fill an existing position at a lower level. The study we had done recommended that we reduce 10–11 positions. We have eliminated 7 thus far and have a few other vacant positions on hold. We think we will reach our goal through staff attrition ahead of schedule. We realized during our conversations that there were a few areas that none of us was adequately addressing. One great example is emergency preparedness. While we had the experience of the Northridge quake 25 years ago and covered many basic elements of emergency preparedness, we should have been doing more given the size of the valley’s population today and our relative remoteness from other urban areas. That idea crystalized for me during one of the outreach meetings with our blue ribbon panel. We are creating a new position to elevate our emergency preparedness. Kris Polly: How many employees do you have? Matt Stone: Right now, we are at about 215 authorized positions, with 212 employees and 3 positions held vacant. We started with 222 and eliminated 7 positions. Kris Polly: What are the top lessons that you and your board members learned in this process? Matt Stone: First and foremost, it took a really committed group of leaders on both boards to make this happen. That is what makes the difference in a successful consolidation. You could have the best idea in the world, but without committed leadership, it will be tough to get anything done. Second, it is a team effort. You are going to need the active support and engagement of your management team and your staff. One of the really neat things about this process has been bringing that management team together and watching its members work out problems and challenges. There is the initial finish line of forming a new organization, but a whole lot more work comes after that. That is where your staff and management team come through. Another lesson is that you cannot over-communicate in a process like this. You are going to have to communicate over and over again in order to be successful. We did that particularly well during the outreach and legislative years. As we implement the consolidation, we are also focusing on internal communication. You have to keep listening and keep finding better ways to communicate within your organization and among your external stakeholders, even after the official date of the consolidation. We recently asked our staff how we are doing with internal communication. It was a good experience to get both positive reinforcement on what is working and constructive comments on what isn’t—and a reminder that no matter how busy you get, taking time to communicate clearly and often is vitally important. Another lesson we took to heart is, “Go big or go home.” During the ad hoc committee process and the year during which we were doing outreach, we strategized on how to succeed with legislation. We started to feel some trepidation about the potential cost of needed resources, but I think we all realized that we were committed to making this thing work. Once you decide you want to embark on this journey, do not skimp. It is a once-in-a-generation change, and getting the right expertise and technical help is going to make all the difference. That philosophy needs to extend to the efforts to integrate the agency and its systems after consolidation. Yes, you need to achieve savings, but you also need to build a best-in-class agency to serve your community far into the future. Savings and customer value will follow. The last one is that persistence is really important. There are going to be a lot of setbacks and roadblocks, and you are just going to have to continue to move forward. Kris Polly: Is there any additional advice that you would like to pass on to agencies considering consolidation? from under you. I think it is important to make a strong case for the benefits of consolidation up front and also make clear what consolidation will not do. For example, we tried to be clear from the start that this would save money but that there were other reasons why we should do it. Given the baseline cost pressures and mandates that water agencies are under, we did not publicly equate cost savings with reduced water rates, and we made sure to correct that message if it popped up anywhere. We also made the case for the wider benefits: unified governance; better ability to deal with regional issues; and integrated, holistic watershed management. Getting to the institutional first day of a new agency is a huge effort, but that is not the end. Much more work has to follow in combining the staffs, developing a new organization, syncing up your policies, bringing IT together, and bringing staff culture together. That takes additional years, and it is equally important to whether you will be successful or not. Finally, I want to publicly acknowledge and thank both boards, the ad hoc committee, Senator Wilk and our other state and local elected officials, our management teams and staffs, our attorneys and consultants, our legislative advocates, our stakeholders, and all who expressed support or contributed constructive feedback as the proposal took shape. They each shared a role in our successful journey to form a new agency. For more information about the Santa Clarita Valley Water Agency, visit yourscvwater.com.